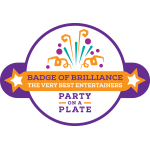 Magic, Witches and Wizards, Fantastic Beasts and all the fun of the Circus. 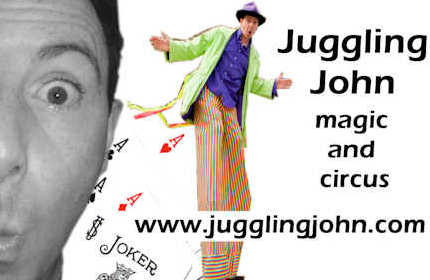 Juggling John adds a real-life magical or circus dimension to World Book Day, Book Week or your KS1 Circus porject. Click for World Book Day ideas. Click for KS1 Circus project ideas. Click for Nursery and Early Years Circus Days/ Half Days. To develop team work, achieve new skills, improve co-ordination and communication skills, skill sharing, confidence building and for those pupils who benefit from hands on and kinaesthetic learning And mainly because it is fun and brings some colour and excitement into school! It’s official! – juggling is good for the brain! A recent report found that…. Please contact us for a quote for you particular situation. Juggling John also provides fantastic entertainment for school fairs and parties - please tell your PTA!